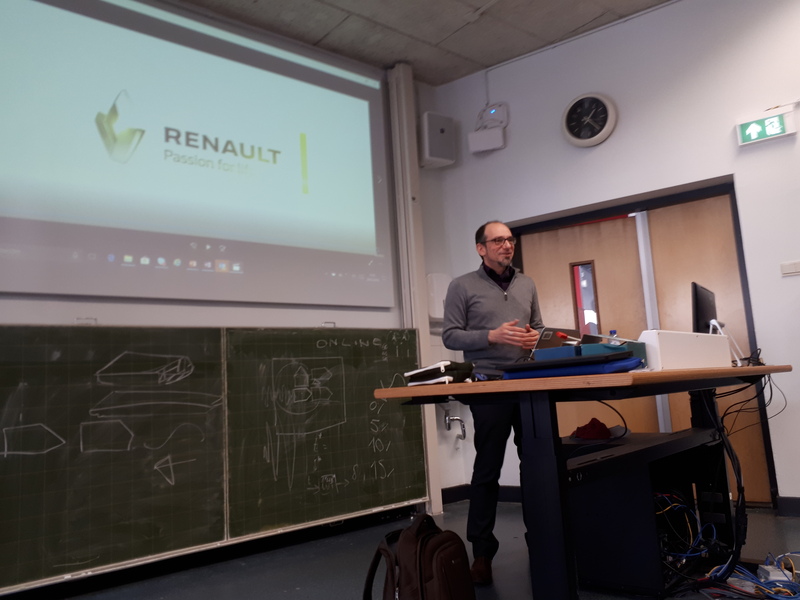 Today we received a visit from dr. Xavier Mouton, lead system architect of Renault’s Multisense. We had the kick-off for a new co-operation project between the Delft Haptics Lab, Renault and their French partner university ENSTA. 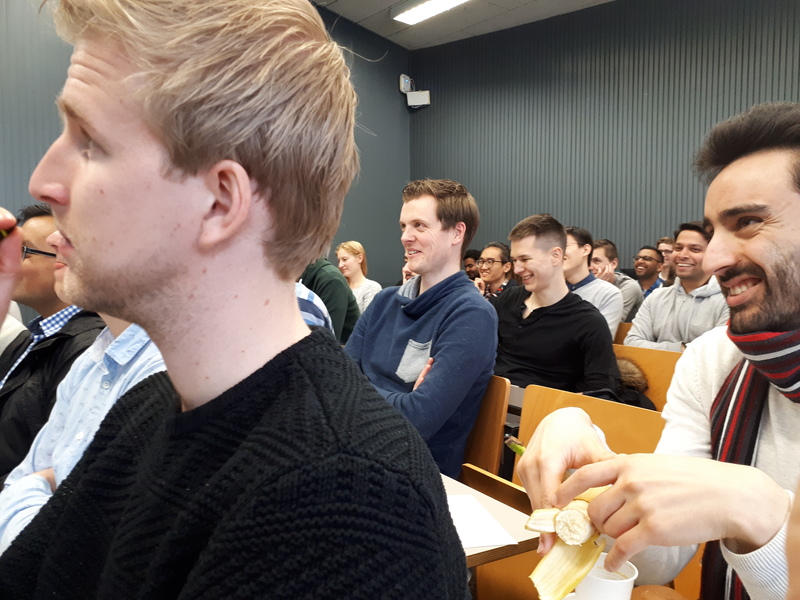 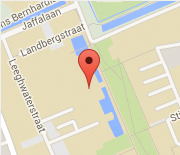 Timo Melman – who graduated under supervision of David Abbink and Joost de Winter, and worked as a research engineer with us for over a year – will pursue his PhD thesis on this project. 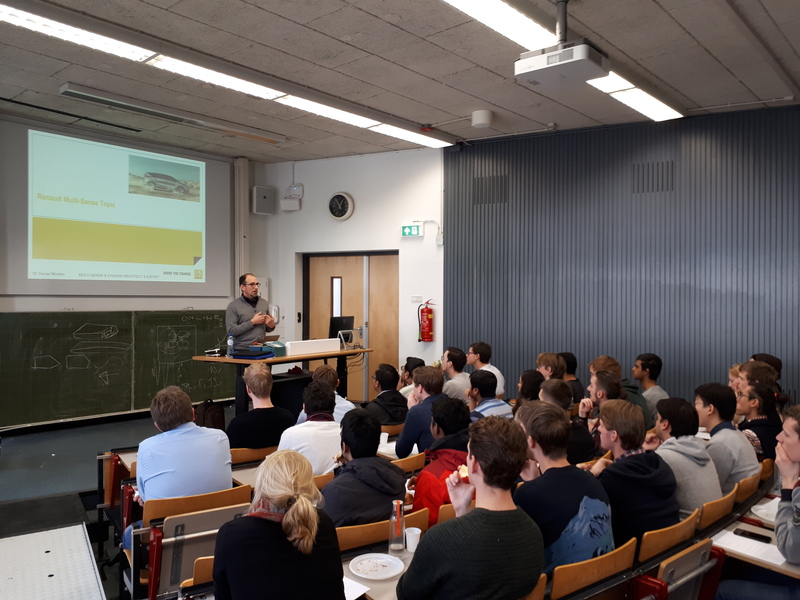 Additionally, Xavier presented his research approach for students of Vehicle Engineering (an MSc Track coordinated by the Cognitive Robotics Department). The lunch lecture was organised by the Vehicle Engineering student association SAVE.